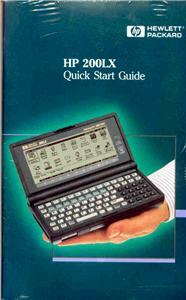 Purchase a refurbished HP 200LX Palmtop, with from 2 MB to 32 MB of memory and/or DoubleSpeed. Also available are HP 1000CX, HP 100LX, and HP 95LX units. Give your Palmtop a new lease on life! $125 flat fee and fast turn-around, no matter the problem. All our refurbished Palmtops and those that have been sent in for repair come with a 90-day warranty which can be extended to one year for only $50 and two year for only $100. Upgrade your palmtop to 4/6/8 or 32 MB and/or DoubleSpeed. Limited supplies. Find that connectivity cable, AC adapter, cigarette lighter charger, case and more. Fill that slot with a storage card, a modem card, or a combo card. Make your palmtop even more practical with a dictionary, task switcher, email and internet browser, or any of many of great add-ons. 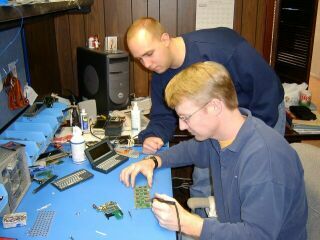 Discover a hidden treasure: We often get small quantities of useful software or accessories ranging from cases to keyboards.